“No one is immune to the disease of addiction,” warns Katherine Ketcham, the coauthor of thirteen books, including Teens Under the Influence: The Truth About Kids, Alcohol, and Other Drugs – How to Recognize the Problem and What to Do About It and the bestselling classic Under the Influence: A Guide to the Myths and Realities of Alcoholism. For the last eight years, she has worked with addicted youth and families at the Juvenile Justice Center in Walla Walla, Washington. She is also the mother of three children. “I have extreme empathy for any parent who is dealing with this in their family.” Katherine understands the difficulties families go through when dealing with addiction firsthand. After going through an inpatient treatment program, her son is currently in recovery. During a wide-ranging interview, Katherine spoke to us about teen marijuana use and drug addiction. She told us how parents can read the signs and get some help for their kids—and themselves. Q. What’s going on with kids and pot right now? How has the scene changed in the last few decades? Is marijuana more potent now, and if so, how is that affecting young people who smoke it? This is why marijuana is so dangerous: the research holds that of the adolescents who enter treatment these days, the majority list marijuana (weed, pot, dope, etc.) as their drug of choice. Marijuana is a much more subtle drug than, say, alcohol. It gets them into the culture of the drug world, which is a perilous step because it can lead down the path to drug addiction. One of the dangers of marijuana is that it’s much stronger than it was a generation ago. Back then, pot, as we used to call it, contained four percent THC. Now it’s about twelve percent—which is a significant increase. We also know from the research that it’s a physiologically addicting drug. 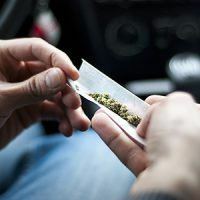 Once a child gets hooked on marijuana and combines it with other drugs, the chances of getting addicted, particularly if they start using at an early age, are very high. And the age that kids first start smoking it is going down. In the eight years since I’ve worked at the Juvenile Justice Center, the age of the first high was 13 and 14. Now I’d say it’s 11 and 12. And I see kids who are starting in the fourth or fifth grade. The perception that it’s not dangerous is widespread. Even most kids will agree that marijuana is a so-called “gateway drug” because as their tolerance increases, they move on to other drugs. And regardless of its legality, it often exposes kids to harder drugs and to drug dealers. It’s rare for young people to use marijuana by itself. Most kids, in my experience, combine marijuana and alcohol—“the regulars,” as they call them. And combining drugs can exponentially increase the risk of addiction. Why is marijuana so popular with kids? Marijuana is easily available, relatively cheap, and it’s becoming legal in more and more places. These factors make it an easy drug to obtain and adds to its popularity. Just as important, though, is that kids say that it relaxes them. They claim it’s effective for stress and gets rid of their anxiety. The anxiety factor is huge. Consider that, by conservative estimates, half of young people with addictions (alcohol, marijuana or other drugs) also have a mental health disorder. The research is clear on the intimate connection between chemical dependency and mental health problems. Of course, it’s often very difficult to tell which comes first: the drug use or the anxiety and depression. In the end, neither can be ignored. A lot of kids who I work with at the Juvenile Justice Center tell me that they “wake and bake,” and use marijuana daily. I have a son who is in recovery, and in his case, marijuana was also his drug of choice. I’m not sure that the reasons for smoking marijuana have changed all that much, but the motivation or desire to use seems to be intensifying. Kids are telling me that their lives are out of control. They feel extremely stressed out and anxious, and I think their problems are very, very real. When I grew up, I didn’t worry about kids walking into school with guns. And today’s movies, video games, and music—I believe they all intensify their stress levels. I think growing up today, unless you’re in some kind of protected environment, you’re going to see bullying at school, pressure to use drugs, and, in many cases, a lack of parental oversight because both parents are working. Indeed, it’s during this time after school before the parents are home and the kids are unsupervised that so much of the trouble begins. We also can’t discount the pressure we’re putting on our children to succeed in the form of academic performance and athletics. Kids today experience enormous stress, and they crave, as we all do, peace and serenity. Drugs may promise peace, at least the first few times a person uses, but in the long run, they destroy any hope of peace and serenity. Q. If you’re a parent and you smoked marijuana as a young person, do you have a leg to stand on when you talk to your kids about it? And should you lie about it if they ask you? You have two legs! Marijuana was half as strong twenty years ago, and we know a lot more about its ill effects now. Personally, I would counsel honesty. Drugs are all about lying and dishonesty, after all, and if we’re going to get through to kids, honesty is vital. Tell the truth, but tell how things have changed. Give them the facts. Marijuana is stronger than it used to be and we now have research that tells us about the frightening things it does to your personality and your performance in school, sports, and every area of your life. All the neurological wiring is laid down in adolescence for judgment, reason controlling impulses, empathy, compassion, flexibility, and all those more mature brain functions that help people grow into responsible adults. You throw drugs into a developing brain and you stop emotional development cold, which is an important reason why it takes kids so long to recover from addiction. Think about it, most kids don’t have their emotional skills built up and they have not developed the ability to build strong relationships and to make reasonable and rational decisions. I’d also tell parents, first, set aside your rationalizations. Don’t argue that because alcohol and marijuana are legal that they are “better” than “hard drugs.” Don’t make statements like, “At least he’s only smoking marijuana.” Learn everything you can about alcohol, drugs, and drug addiction. Q. What are some signs that might help you identify whether your child is smoking marijuana? I think where there’s smoke, there’s fire. Chances are, if you think that your child has been smoking pot, he or she probably has. These are the big signs: kids’ grades slip, they change their whole group of friends, they stop playing sports or going to youth group, their personalities change, and they become more negative and less approachable. Don’t ignore these changes, because they are like signs on a very dangerous path. If you’re a parent and see these problems in your child, I would be proactive and talk to your child, express your concerns, and tell them that you’re keeping an eye out and that you’re not going to ignore the situation. Kids do not respect their parents when they ignore the signs staring right at them. Even as they seek independence, they need and want you to act as their guardians and guides. Marijuana destroys motivation, it screws up memory, and it gradually destroys self-esteem. The kids I work with say that it makes them feel “lazy” or “dumb.” Their grades drop, their ambitions disappear, and their friends change. There are emotional changes too – anger and irritability increase and they often become more paranoid. Depression and suicidal thoughts can also be a by-product of smoking marijuana. Remember that while adolescence is always challenging for kids (and parents), it’s not normal for your child’s personality to change in dramatically negative ways. The more a child uses, the more you will see negative emotions and moodiness build up. You may see a gentle, smart, calm child turn into an angry person who doesn’t in any way, shape, or form resemble your daughter or son. This was the case with my own child. You will see increasingly dramatic personality changes. One of the keys is to look at what’s happening to your child’s relationships. People focus on bloodshot eyes, but I focus on how drugs affect kids’ values. I focus on their love of family, their self-respect, and the respect they get from others. These are the important issues that people don’t generally talk about. Is this normal adolescence or has my child’s personality totally switched? What’s happened to my child’s relationships? Do you try too hard to talk yourself out of your fears? How often do you frequently making excuses for your child? Are you protecting your child from the natural consequences of their actions? The consequences piece is essential—it’s how we learn. Take a deep breath and allow your children to experience the consequences of their actions and decisions. Q. What should a parent’s role be when they suspect their child is using drugs? When you suspect your child might be using drugs, the faster you can jump in and be authoritative, decisive, and strong, the better. You have to be like steel with this disease. When they are using alcohol or other drugs on a regular basis, kids can be incredibly manipulative and they will lie to your face. The way they can shift blame around so it’s your fault is unbelievable. They are masters of deception and manipulation. The truth is that they have to lie to protect their ability to continue to use. Lying, deceit, cheating, and dishonesty are part and parcel of this disease—but not because the addicted person is a liar or a cheat by nature—because the addicted brain needs drugs in order to function “normally.” Lying is one way to escape detection. Always remember: for an addicted person, the poison is the antidote to the withdrawal symptoms. Once addicted, the poison is what keeps away the pain, at least in the short run. And remember, you are the parent. Your first role is to support and protect your child. You know they have a drug problem and it’s destroying their lives and you know if they have money, they might buy drugs. Let your kids suffer the consequences of their decisions. Q. Should I search my child’s room if I suspect he’s using drugs? If you think your child might be taking drugs, I personally don’t think it’s unreasonable to search their room. It’s understandable that we’re afraid to use our power to impinge on their freedom and independence. But if they’re in trouble with drugs, they’re going to lose their freedom and independence and maybe their life. Check their rooms and in places you’d never imagine. Check wall sockets, look in their shoes, and take every bit of medication in your medicine cabinet and put it someplace under lock and key. That’s everything—pain pills, heart medication, sleeping pills, anti-depressants. Related content: Teens and Privacy: Should I “Spy” on My Child? Believe me, kids will walk into their friend’s houses, take a few pills and see what happens. It doesn’t matter what the pills are. Even if your own child doesn’t have a drug problem, their friends might. Therefore, I would advise that you keep all prescription medication in a safe, inaccessible place in your house. Q. What should you do if your child is addicted to drugs? There is not enough compassion out there for parents whose kids are addicted. You simply can’t judge what they’re going through if you don’t know it. For those of us who are going through this, you face your child’s addiction every day, and you think, “Will he come back tonight, and will he be alive tomorrow?” You’re half-crazed by fear and anxiety. And you’re fighting something that is seemingly so much smarter than you are. Addiction is the wiliest disease that there is. It’s intense because it’s a disease that literally rewires the brain. The addiction says, “Give me more drugs, and if you don’t, I will put you in terrible pain.” Withdrawal is the consequence that keeps addicts coming back for more. The addict knows the pain of not using (withdrawal) and in time they become a prisoner of their addiction. Research also shows that if you’re addicted to one drug, especially at a young age, then you’re brain is wired to become addicted to any addictive drug. Keep in mind that you’re not your child’s friend, you’re their parent. You have to stand firm. And realize that your child has a disease because it will allow you to be objective and not take their anger personally. This will help you be more effective in your efforts to get them some help. Remember, this person who is screaming, “To hell with you, I hate you, you’ll never understand me” is under the influence of drugs. The enemy is not your child. The enemy is the addiction that has taken over their life, mind, heart, and spirit. Q. How should you go about seeking treatment for your child? One of the heartbreaking things for parents is they often don’t know where to go when their child is using drugs. If you can, find a doctor who’s knowledgeable about addictions. Work with your doctor to find the best treatment center you can for your child. The first step will be to have a chemical dependency assessment done. Your doctor should be able to direct you to a reputable institution that can do this. Some doctors tell parents they will not deal with addicted kids. Or they may tell the child that smoking marijuana is not a problem as long as they keep it under control. Believe it or not, this happened to me when I took our son to the doctor to talk about his marijuana use, and it has happened to other parents I know. If it’s decided that your child should undergo treatment, there are both inpatient and outpatient programs your child can attend. Most centers don’t specialize in treating adolescents, but there are some that do. A good place to start looking for a program is through the American Society of Addiction Medicine, an arm of the American Medical Association. And, if at all possible, try to get a mental health evaluation. But do this only after your child has been in treatment for several weeks. Addiction creates its own mental health issues, so you need to wait until the drugs are out of the system before you can get an accurate assessment. A word of caution: you can’t get a child sober and then release them back into the community without putting some structure into place. If the treatment is only 28 days, which is the standard inpatient stay, make sure that when your child is released that they have support resources lined up. Support resources may include attending Alcoholics Anonymous, Narcotics Anonymous, or meeting regularly with a counselor or case manager. Talk to teachers, family members, and friends and ask for their support. Educate them about addiction and recovery. A child who has all those supports in place has a good chance to stay clean and sober. Without that support, about 80 percent of kids relapse. During recovery, it’s of vital importance that your child gets into a good support group, where they talk about what’s happened to them and how they can become the person they want to be. There are two reasons to seek help as early as you can. The first reason is to enable you to find out what’s happening with your child by having a professional step in and help you. Find someone who can see the problems quickly and who understands adolescent addiction and co-occurring mental health problems. The second reason is to get help for yourself. Because you can’t do this alone—you’ll go crazy. Try to find a support group in your area. Contact your local hospitals and community center. In my case, I started a support group in our town to help our family deal with the fall-out from our son’s addiction. Our support group continues to be a lifeline for us as we reach out to others who are going through what we went through. Q. What can you say to kids before they ever start smoking? I think you need to teach the facts at a really early age because they are exposed to drugs at such an early age now. I think it’s important to talk to them about it in elementary school where kids are exposed to inhalants – substances such as nail polish, gasoline, and permanent markers. Very young kids are inhaling or huffing those substances and risking permanent brain damage. That’s a very serious issue. You have to find a way to talk to them in an age-appropriate way without terrifying them. I’m a great believer in stories. You can say, “I just heard this story about a boy in trouble with drugs. And it made me so sad.” Say it with love and explain it in terms of another child. There are ways to educate kids with love and compassion for the people who are suffering. Addicted people need our support and compassion. Always. No matter how many times they relapse. They need us to reach out to them with love and understanding but also with a firm grasp of what needs to be done to get them well again. ElSohly et al. “Changes in Cannabis Potency over the Last Two Decades (1995-2014) – Analysis of Current Data in the United States.” US National Library of Medicine, National Institutes of Health. (2016) https://www.ncbi.nlm.nih.gov/pmc/articles/PMC4987131/. “Is Marijuana a Gateway Drug?” National Institute on Drug Abuse, National Institutes of Health. (2018) https://www.drugabuse.gov/publications/research-reports/marijuana/marijuana-gateway-drug. Ketcham, Katherine. Teens Under the Influence: The Truth About Kids, Alcohol, and Other Drugs- How to Recognize the Problem and What to Do About It. Ketcham, Katherine. Under the Influence: A Guide to the Myths and Realities of Alcoholism. Katherine Ketcham is the coauthor of thirteen books, including Teens Under the Influence: The Truth About Kids, Alcohol, and Other Drugs – How to Recognize the Problem and What to Do About It with Nicholas Pace, M.D. (Ballantine, 2003); Broken: My Story of Addiction and Redemption (Viking, 2006) with William Cope Moyers; and the bestselling classics Under the Influence: A Guide to the Myths and Realities of Alcoholism with James Milam (Bantam, 1983) and The Spirituality of Imperfection: Storytelling and the Search for Meaning with Ernest Kurtz (Bantam, 1992). Over 1.5 million copies of her books are currently in print. For the last eight years she has worked with youth and families at the Juvenile Justice Center in Walla Walla, Washington where she lives with her husband, Patrick Spencer, a geology professor. They have three children: Robyn, 26; Alison, 24; and Benjamin, 21. 2. My Child Is Using Drugs or Drinking Alcohol—What Should I Do? 4. Teens and Privacy: Should I "Spy" on My Child?